Paper submission deadline: November 17, 2014. Camera ready version due: February 23, 2015. All accepted papers will be published in FLAIRS proceedings by the AAAI. The track on Applied Natural Language Processing is a forum for researchers working in natural language processing (NLP)/computational linguistics(CL) and related areas. The rapid pace of development of online materials, most of them in textual form or text combined with other media (visual, audio), has led to a revived interest for tools capable to understand, organize and mine those materials. Novel human-computer interfaces, for instance talking heads, can benefit from language understanding and generation techniques with big impact on user satisfaction. Moreover, language can facilitate human-computer interaction for the handicapped (no typing needed) and elderly leading to an ever increasing user base for computer systems. 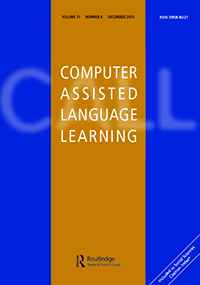 The goal of the ANLP track is to inform researchers as to current project and studies that identify, investigate, and (begin to) resolve issues that relate to human/computer language interaction. Papers and contributions on traditional basic and applied language processing issues are welcome as well as novel challenges to the NLP/CL community: bioNLP, spam filtering, security, multilingual processing, learning environments, multimodal communication, etc. 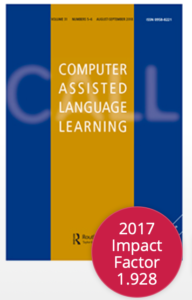 We also encourage papers in information retrieval, speech processing and machine learning that present novel approaches that can benefit from or have an impact on NLP/CL. Interested authors should format their papers according to AAAI formatting guidelines. The papers should be original work (i.e., not submitted, in submission, or submitted to another conference while in review). Papers should not exceed 6 pages (4 pages for a poster) and are due by November 17, 2014. For FLAIRS-28, the 2015 conference, the reviewing is a double blind process. Fake author names and affiliations must be used on submitted papers to provide double-blind reviewing. Papers must be submitted as PDF through the EasyChair conference system, which can be accessed through the main conference web site (http://www.flairs-28.info/). Note: do not use a fake name for your EasyChair login – your EasyChair account information is hidden from reviewers. Authors should indicate the [your track name] special track for submissions. The proceedings of FLAIRS will be published by the AAAI. Authors of accepted papers will be required to sign a form transferring copyright of their contribution to AAAI. FLAIRS requires that there be at least one full author registration per paper. Please, check the website http://www.flairs-28.info/ for further information.